These are absolutely great for beginners! They have a light weight shank and box. The shank allows roll through and while the box is lightweight, it is supportive because of the amount of glue in it. I am very interested in your feedback on ballet pointe shoe brands, thank you very much for your useful analysis. I know many dancers that have worn Freed pointe shoes and they are very happy with the look and style of the brand.Yet a lot of dancers say Freed shoes do not last very long and go soft quite quickly. Is this the case with your Freed Studios? How long do they last you? I remember my teachers friend, who was a principal with the English National Ballet, said that Freed's were popular with companies because they were a performance shoe: they did not last very long with dancers who were blessed with high arches. As I said before, it depens on what type of feet you have. Ballet Pointe Shoes - Freed or Bloch? 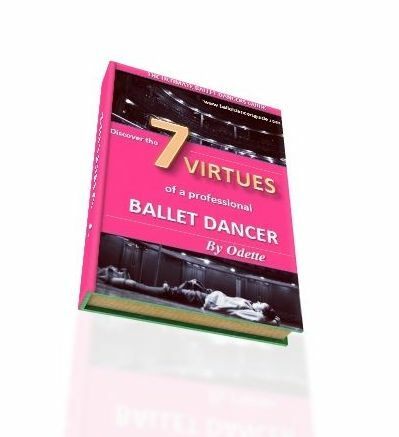 Hi Odette, I've recently just started wearing pointe shoes. I'm a dancer in training and my school has a contract with Freed. However, some of my friends are saying Bloch are better and so their parents have bought them Bloch. I've realized that pointe shoes are very expensive and I don't want to waste my parents money. I would like a pair pointe shoes that will last me a long time. My friends say that bloch are lasting them much longer than freed. Please could you advise me on which pair I should buy. to Ballet Pointe Shoes Query - Freed or Bloch? Thank you for your query, every dancer hopes to find a pair of pointe shoes that will last as long as possible. Of course, pointe shoes are not the cheapest supply to buy. 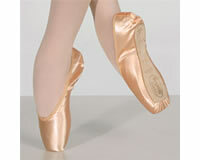 Every dancer is different, which therefore means that everyone's feet are suited to different types of shoes. From what I have experienced, Bloch are excellent for dancers in training. Freed are ideally suited for professional dancers when they are doing a lot of performances. I've gathered this opinion because Bloch are generally a very hard and solid shoe. Therefore, whilst dancers are still training they need a more supportive shoe. Whereas Freed are ideal performances because they are a lot quieter to dance on which is a MUST for when dancing on stage. Bloch do often take longer to break in because they are so hard, but you can wear them beforehand and mold them into the shape of your foot so they feel more comfortable. I hope this advice is helpful to you, Angela, and let me know if there's anything else I can do to help. ps. Remember, just like I did before I went en pointe, ballet students MUST take responsibility for their own strengthening prior to beginning pointe work.